More and more single women are debating whether to listen to their bio-clocks and take the baby plunge—alone. 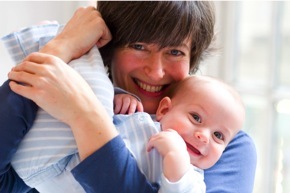 Writer Louise Sloan (pictured above with son Scott), did just that. 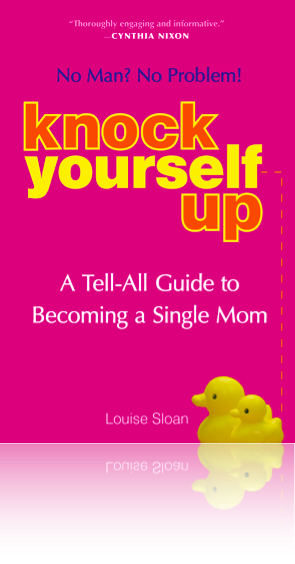 Knock Yourself Up features Louise’s own hilarious and heartwarming story, plus the experiences of other women from all over the U.S. who decided they wouldn’t let being single stand in the way of creating a family. This entertaining and informative book is required reading for any single woman over 30 who thinks she might want kids someday. Click on the cover to order the book.